Silas Weir Mitchell (1829–1914) was among the foremost physicians of his time and a prolific writer of both scientific and literary works. Mitchell published over 100 scientific articles and monographs and the Library has an extensive collection of his professional publications. But Mitchell was also a successful poet and novelist and we are pleased to have recently acquired some of his stories and poems. Dr. Mitchell obtained his medical degree in 1850 from Jefferson Medical College and spent the following year in Paris where he studied with Claude Bernard and then returned to Philadelphia to join his father’s practice. During the Civil War, as a surgeon at Turners Lane Hospital in Philadelphia, he treated many patients with nerve injuries which led to his interest in neurology and neuro-psychiatry. After the war, he returned to private practice. In 1870 he was appointed physician-in-charge of the Department for Nervous Diseases of the Philadelphia Orthopedic Hospital where he would treat patients for over forty years. Mitchell wrote his non-medical works throughout his medical career. He published more than 25 literary titles and his medical experience and background enabled him to write historical fiction with much psychological insight. 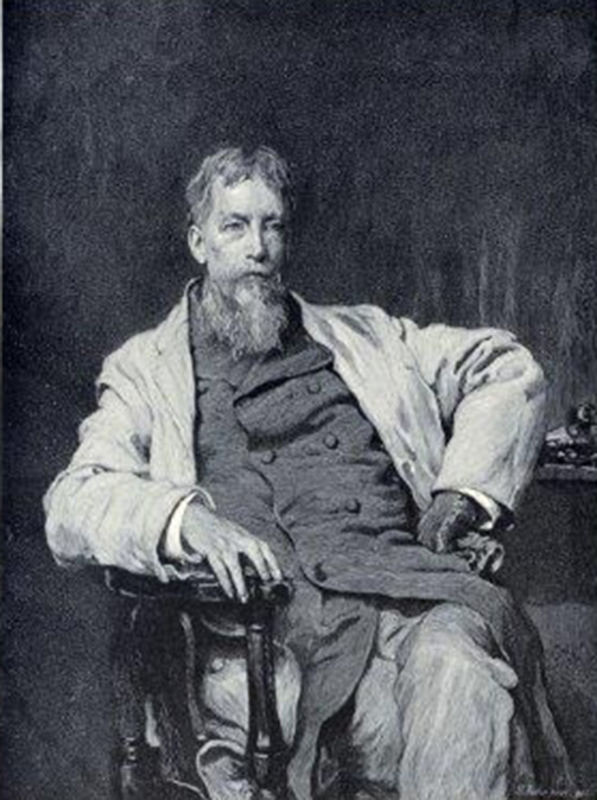 The Children’s Hour, Silas Weir Mitchell’s first literary work, which he co-wrote with Elizabeth Stevenson, is a collection of short stories and poems for children published in 1864. The stories and the introductory verses were written by Mitchell. The poems were written by Elizabeth Stevenson. This book was written for the United States Sanitary Commission and the Great Central Sanitary Fair which was held in Philadelphia in 1864. Sanitary fairs were organized to benefit the Sanitary Commission. The proceeds raised through exhibitions and the sale of articles such as books, clothing, and housewares provided bandages, clothing, and other supplies for the comfort and relief of the Union soldiers. And yellow waved the grain. Three years later he published The Wonderful Stories of Fuz-Buz the Fly and Mother Grabem the Spider, another book for children. This story was written for children and tells the story of Fuz-Buz the fly who after becoming caught in the spider’s web entertains Mother Grabem the spider and her family by telling them fairy tales each day. His first literary work for adults was “The Case of George Dedlow” in 1866. This piece was printed anonymously in the Atlantic Monthly. This story is the fictional account of a Civil War assistant surgeon who had lost all of his limbs in battle. The realistic descriptions of the narrator’s injuries and amputations led many readers to believe the story to be true. The story was later published in book form in The Autobiography of a Quack and the Case of George Dedlow (New York: The Century Co., 1900). In its introduction Mitchell says the story wasn’t written with any intent of publishing it. He had lent the manuscript to a friend who sent it to another friend who then sent it to the Atlantic Monthly. Stevenson, Elizabeth Wister, and Mitchell, S. Weir. The Children’s hour. Philadelphia: Published for the Benefit of the Sanitary Commission, (J. B. Lippincott & Co.), 1864. Mitchell, S. Weir. The Wonderful stories of Fuz-Buz the fly and Mother Grabem the spider. Philadelphia: J. B. Lippincott & Co., 1867. Mitchell, S. Weir. In war time. Boston: Houghton, Mifflin and Company, 1885. Presentation inscription signed by the author on the front flyleaf “Mr. Jones fr. Weir Mitchell”. Mitchell’s first full-length novel, In War Time, followed in 1885. This signed presentation copy is the first edition. It is the story of Dr. Ezra Wendell, a contract surgeon in the military hospital in Philadelphia. The story begins as the wounded from the battle of Gettysburg are being brought to the hospital and ends as Dr. Wendell returns to private practice after the war. These titles, and several others are all part of this wonderful collection of books and periodical issues acquired by the Library related to the literary achievements of Mitchell. The collection comprises a group of 205 items primarily of Mitchell’s literary works and includes more than 50 inscribed copies as well as a number of variant states and editions which document the changes in styles and tastes of American publishing of the time. As of the date of this post, this recently acquired collection is currently being processed for inclusion in the collections of the Library. For questions about any of these titles, including how to consult them, please contact the History of Medicine Division Reference staff at NLM Customer Support or (301) 402-8878.